Darren Cooper took on the role of manager of the Accessibility Project at The G. Raymond Chang School of Continuing Education in 2017. As a person with vision impairment, Cooper has an extensive background both working with and advocating for the accessibility community. Prior to this role, he was the accessibility specialist for the City of Mississauga and the accessibility coordinator for the town of Milton. 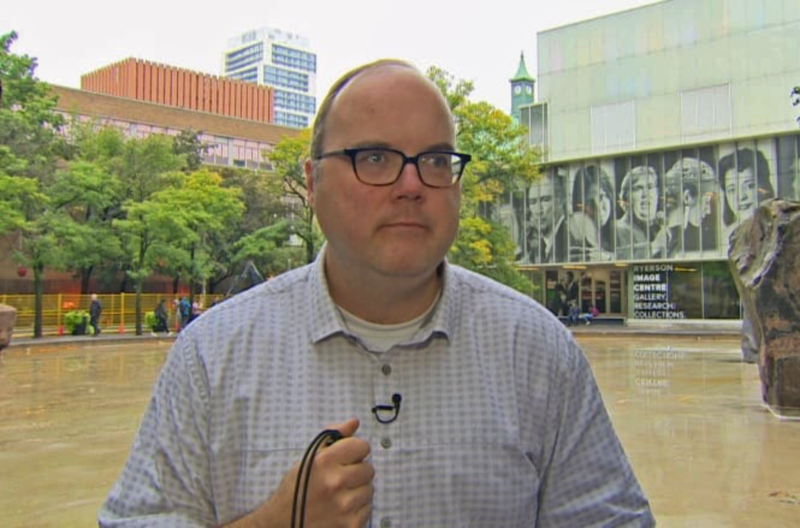 In addition to his position as project manager, Cooper serves as a member of the City of Toronto’s accessibility advisory committee, and is currently the academic coordinator for Ryerson’s new Leadership, Accessibility and Inclusion program, which educates students on the Accessibility for Ontarians with Disabilities Act and how to incorporate its legislative requirements into their current employment structures. We sat down with him to talk about the Accessibility Project. Q: What is the Accessibility Project? A: It’s a two-year project and grant program that will end in July 2019. We provide funding to entrepreneurs who are developing innovation or a piece of technology that will help to remove barriers for people with disabilities and aging populations. The project is currently supporting 17 student and alumni teams, all of whom are working on different products, different services. The point of the project is really to support them, to foster these ideas, to provide them with an opportunity to learn skills that could help them in their small businesses. The majority of them have established themselves as small businesses, so giving the opportunity to learn hands on how to develop those skills. Most are app developments, some are wearable technology, some are website development, all with the end-goal of removing barriers. Q: What is your role in the project? A: My role as the manager is to support them in terms of their project management, helping them develop milestones and their budget. For some teams this is their first real opportunity of doing these projects. I oversee all the financial aspects, I monitor each budget and distribute the funds. I’m also responsible for connecting each team with the local disability/accessibility community outside of Ryerson for user-testing purposes. Q: How does the user-testing phase work? A: Each team can determine what they want to do. Some are doing focus groups, some are doing demos, some are doing surveys. We held an event last May and we brought in various organizations, and the teams had an opportunity to network with them and potentially recruit their clients and members as users. It depends on what works best for their project. Q: How important is feedback from the accessibility community? A: I think it’s really important because it gives the team leads and members of the team the direct feedback they’re looking for from people who are going to be using their product or their service. It’s a good way to determine is this particular aspect of their project working for them? Is it meeting the goals, the end goal, or is there something they could do differently? Or, maybe it’s not up to, at that point, the level of accessibility that it needs to be in order to access it. I think having the direct feedback from the voices of people who will be using it is key to being successful. Q: What was one of your favourite creations to come out the Accessibility Project? A: I think they’re all doing amazing work. I think personally as a person who is blind, one project is MenuVox. It’s an app that is being developed that will work with GPS functions on a smartphone and an open source called Open Menu I believe, to read menus for people who are blind or living with low vision and relay that information to the phone through the app that is compatible with the built in accessibility features. It will work primarily, or the best, in food courts where the menus are up high. It will work with a regular menu as well, but ideally it will work with those broad food court menus. Q: What innovations do you wish you saw more of? A: I would have liked to have seen something done for people who are deaf or hard of hearing. None of the projects impact that community directly. There’s such a large deaf population in Toronto but also outside of Toronto. I saw that when I was accessibility coordinator for the town of Milton, when I was there I was fortunate enough to be involved in developing an app called StageFly that provides livestream ASL interpretation for theatrical productions at the Nolan Centre for the Arts. That would have been great to include something like that. Maybe in the future. 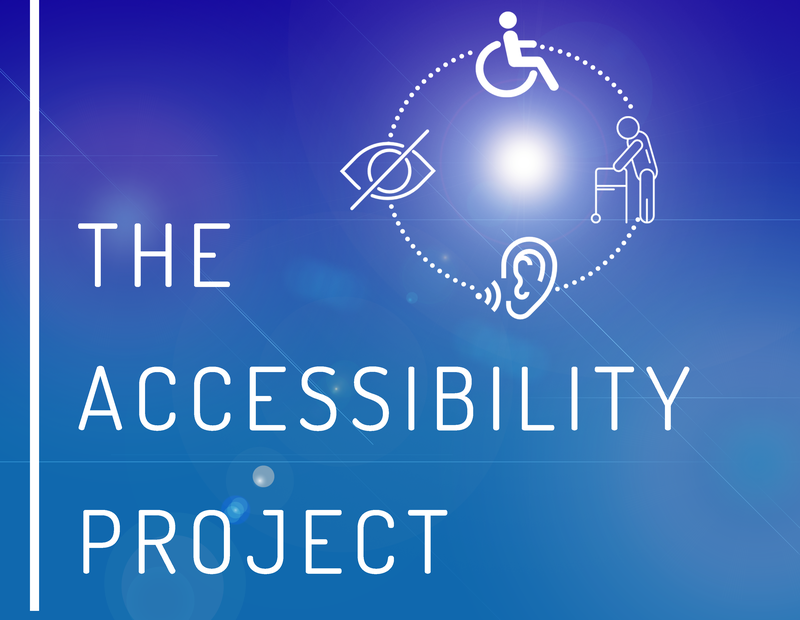 If you would like to read more about some of the projects that have been created through the Accessibility Project click here.